It's amazing how new gear can bump up the cooking inspiration! I bought a new muffin pan last week and suddenly I'm all about baking muffins. Last week I baked a dozen Sweet Potato Apple Muffins. Super healthy and a big hit with my wife and kids (I just didn't mention the sweet potato part to them). 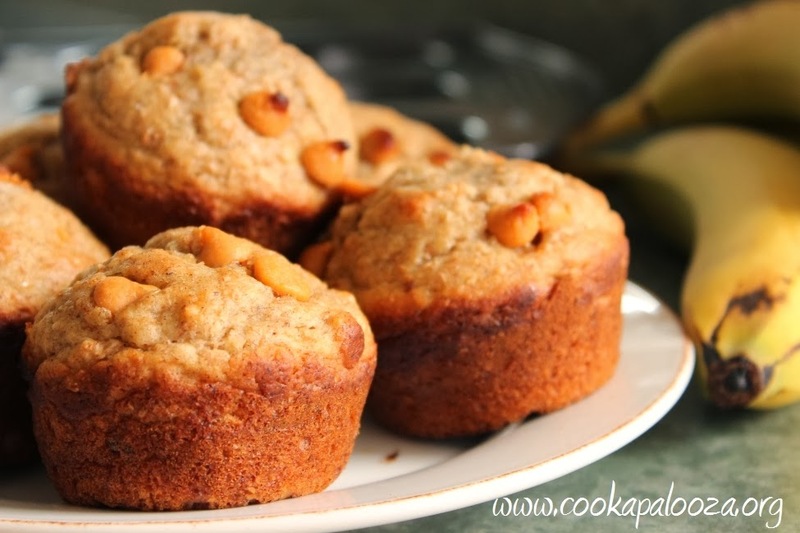 This muffin recipe is based on the Chocolate Chip Banana Muffin recipe from my cookbook. What's different is I reached for butterscotch instead of chocolate chips this time. 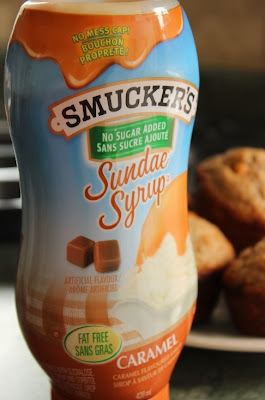 And I also whisked caramel sundae sauce into the batter. What can I say...I was having fun! 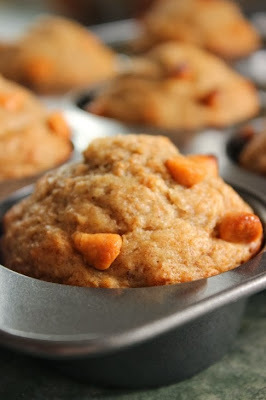 I've used butterscotch chips in pancakes before so adding them to muffins only seemed natural. Adding caramel sundae sauce was just a decadent thought that crossed my mind while mixing the batter. 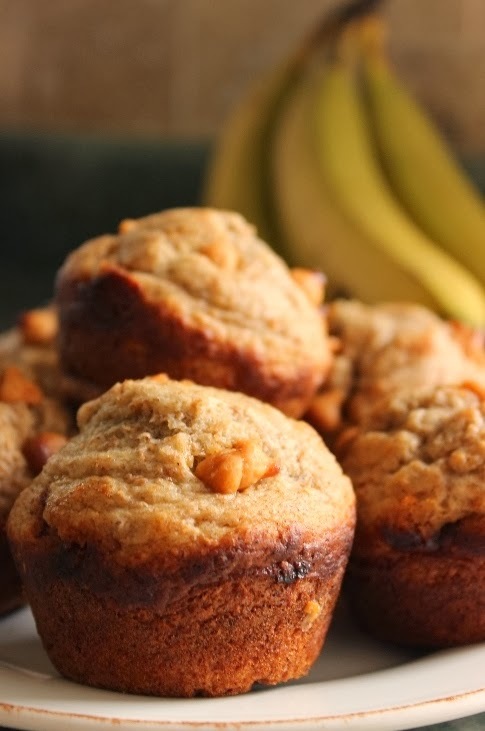 Even with the sundae sauce, these bananas muffins are still a healthy choice. Although their sweet butterscotch flavor can easily make you forget they are good for you! In a large bowl, combine flour, wheat bran, baking powder, baking soda, nutmeg and salt. Set aside. In a medium bowl, whisk together egg, bananas, brown sugar, sour cream, oil and caramel sauce. Add to dry ingredients and mix just until moistened. Gently fold in half the butterscotch chips. Divide batter evenly among the 12 muffin pan cups. Top each with remaining butterscotch chips. Bake in a 375 F oven for 18 to 20 minutes or until a toothpick inserted in the center of a muffin comes out clean, Remove muffins from pan and let cool on a wire rack. Very good. Liked the flavor and how easy it was to make. Will make these more than banana bread.